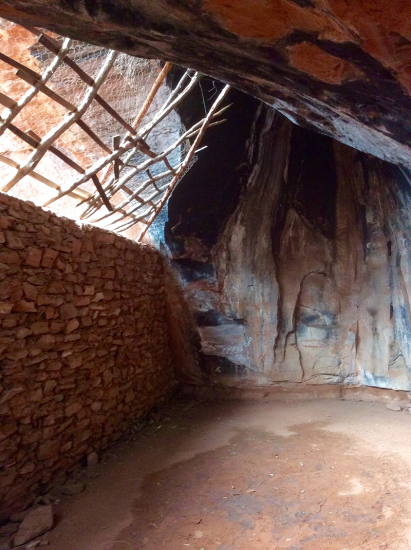 Yesterday I visited the Palatki Heritage Site. 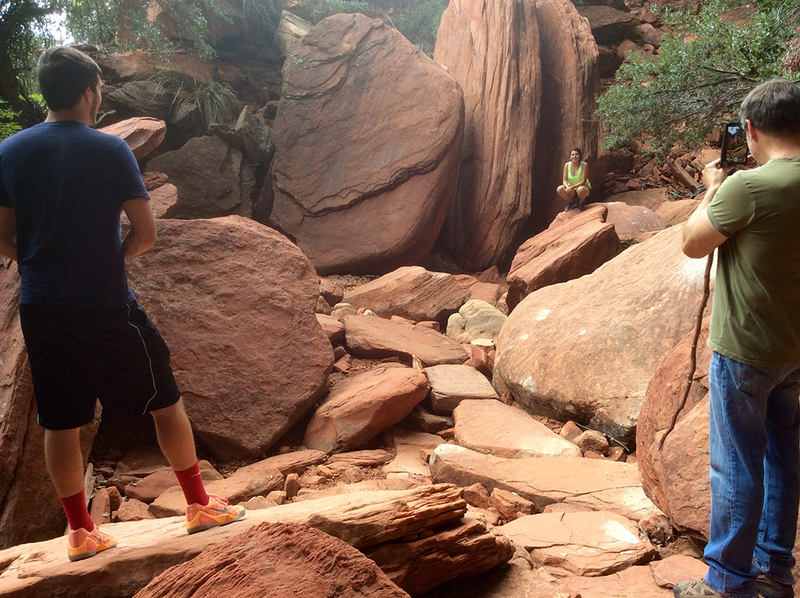 It was just the adventure I was looking for. 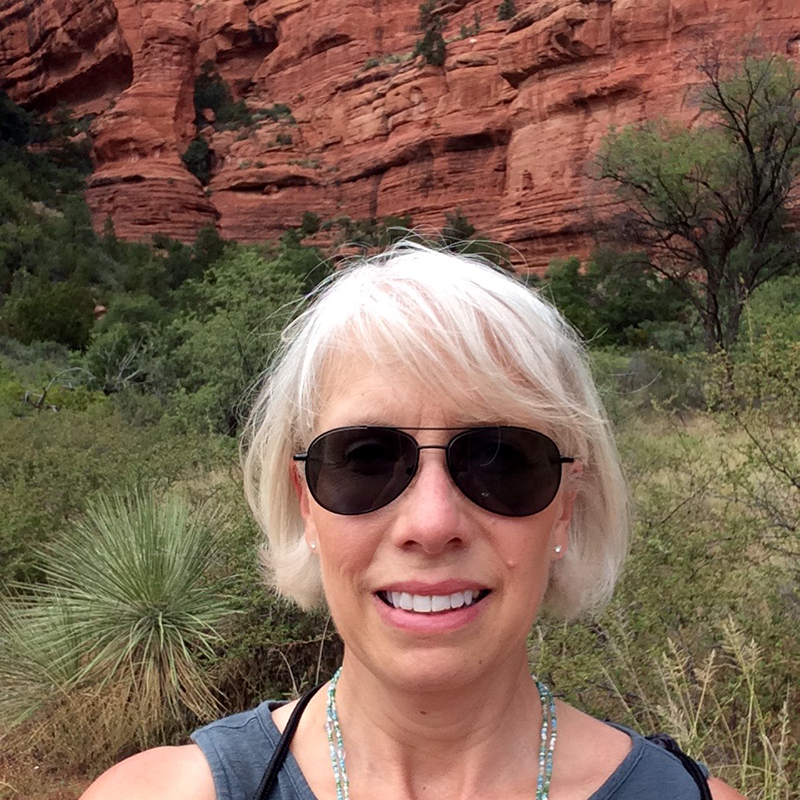 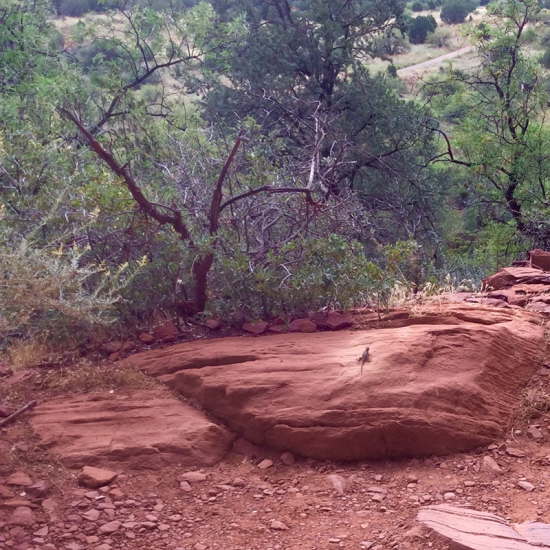 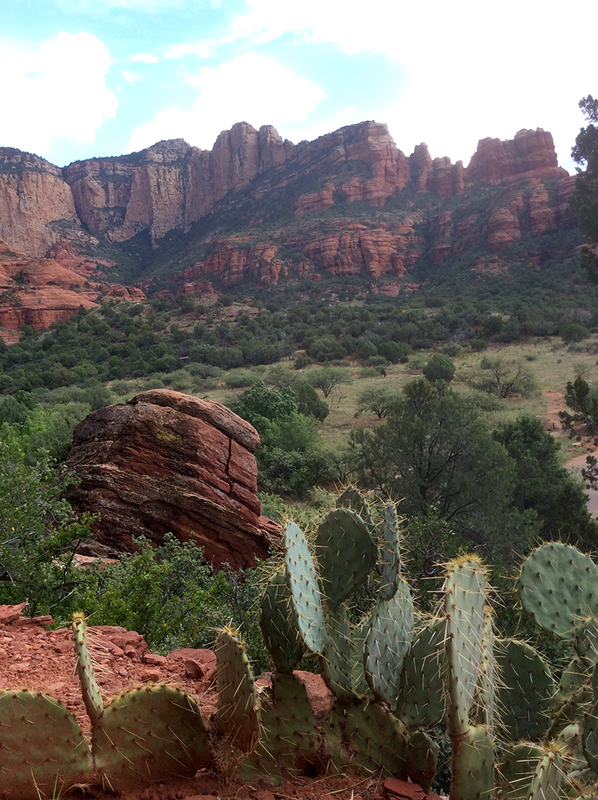 I had been disappointed in Sedona because of the hard sell tactics of the area until I decided to tap into the true beauty and nature of the area. 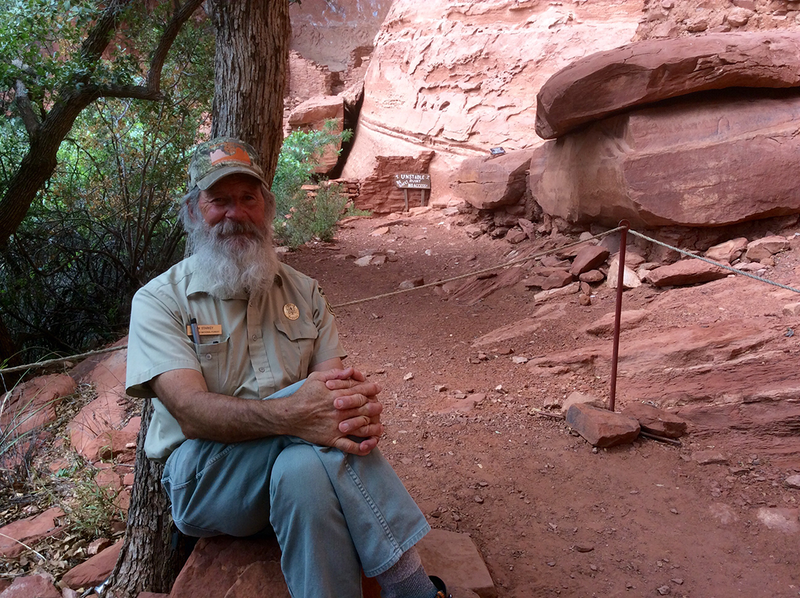 Visiting the Palatki site was just what I needed. 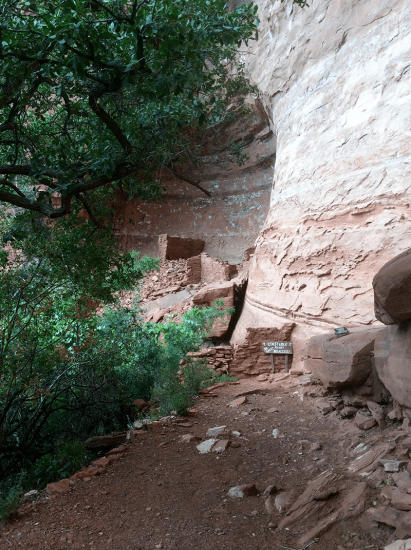 There are ancient cliff dwellings which were once the home of the Hopi tribe and are now amongst the largest cave dwellings in the area. 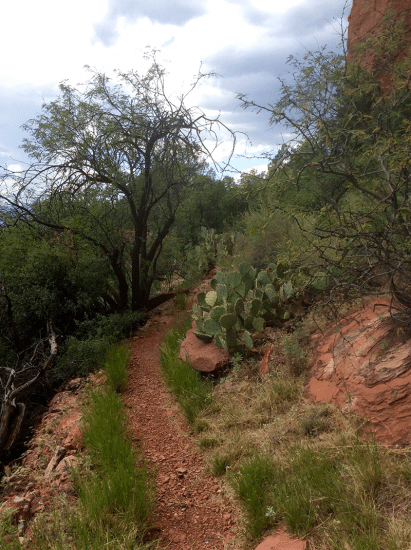 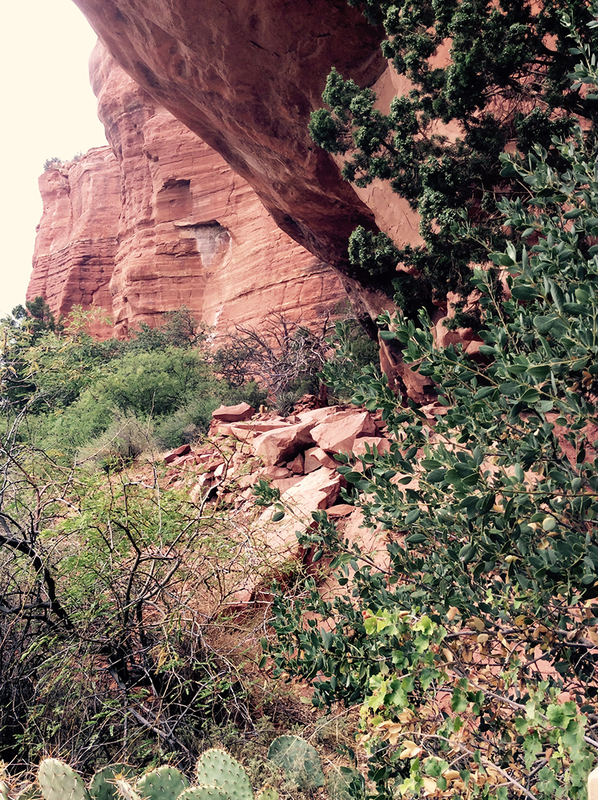 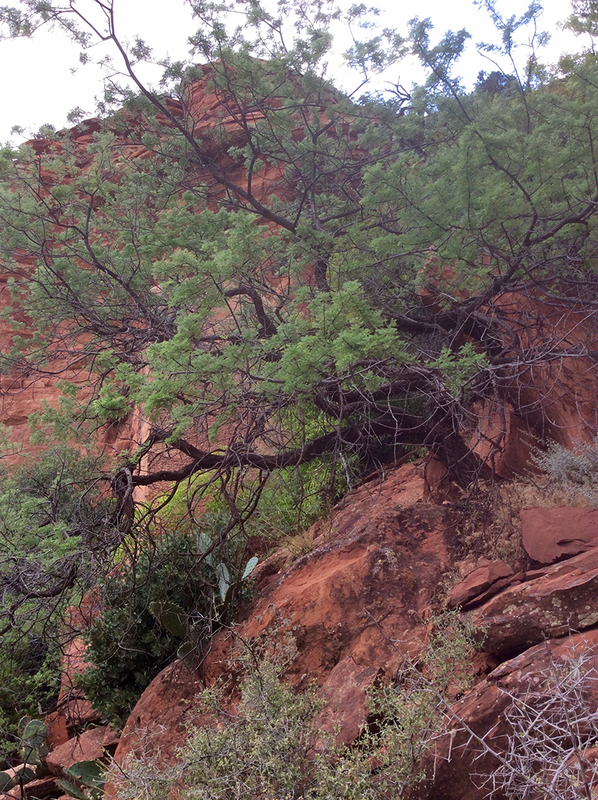 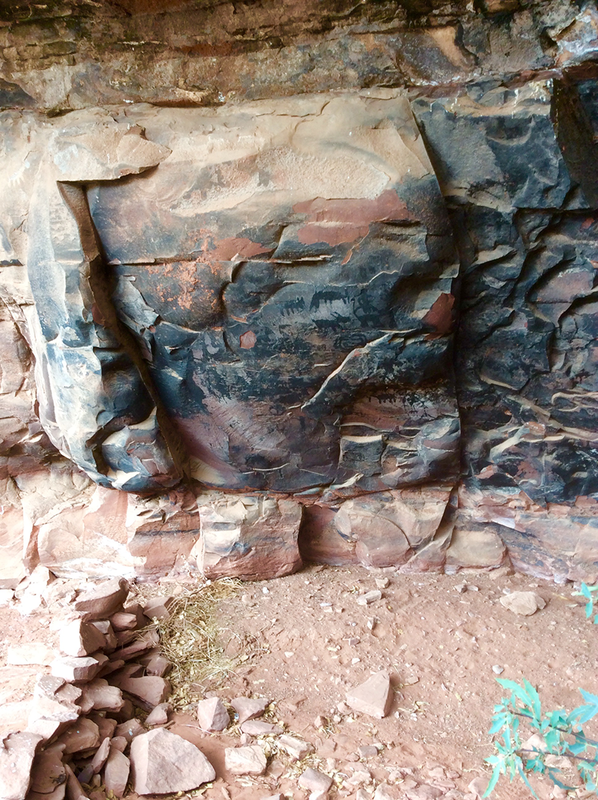 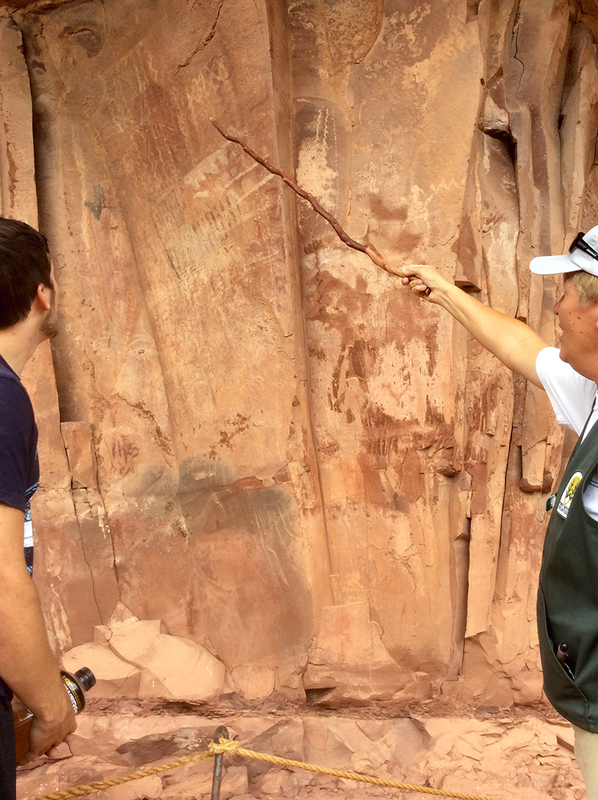 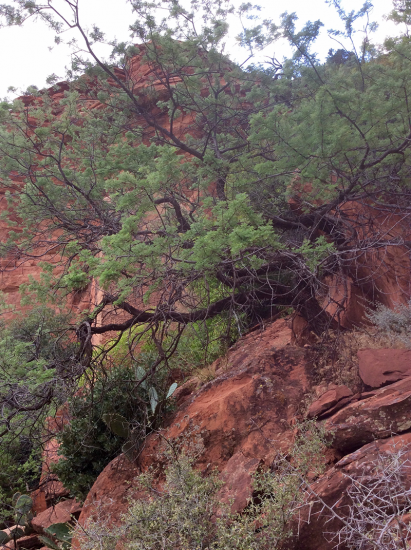 There are two hiking trails at the Palatki Heritage Site — one that will take you directly to the cliff dwellings and another to the rock art. 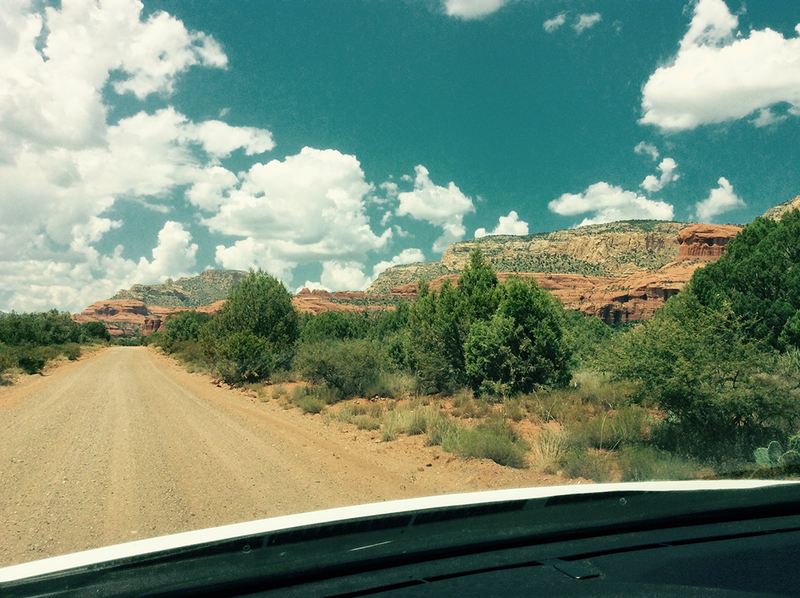 The site was approximately 8 miles from downtown Sedona and the last 3 miles of the driver were on a dirt road, but it was a very easy drive. 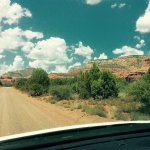 At first I was a little nervous because there were several jeeps passing me on the way, but then I saw a Cadillac and Mercedes Benz coming toward me and I felt better. 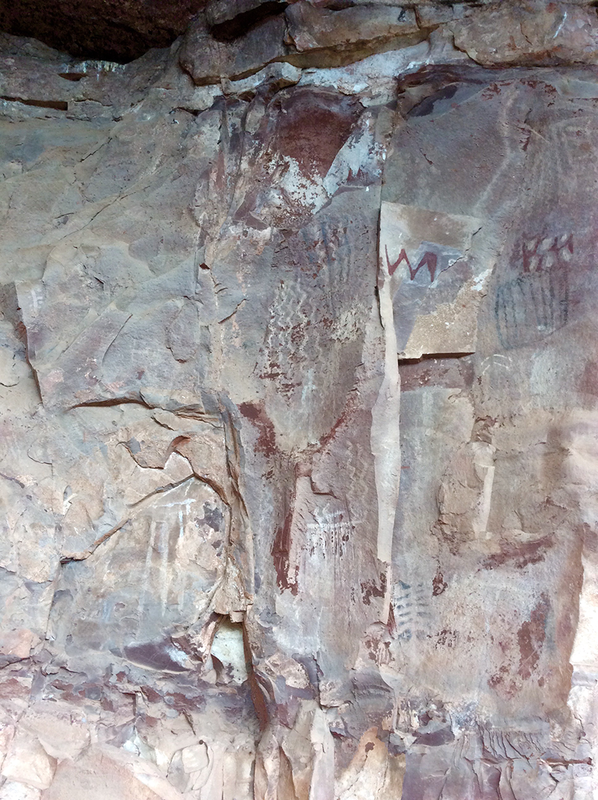 These sites were first described by Dr. Jesse Walter Fewkes who gave them the Hopi name of Palatki (Red House). 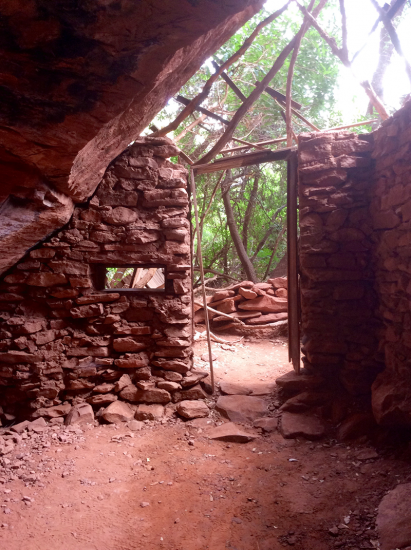 The Hopi, however, have no specific names for these sites. 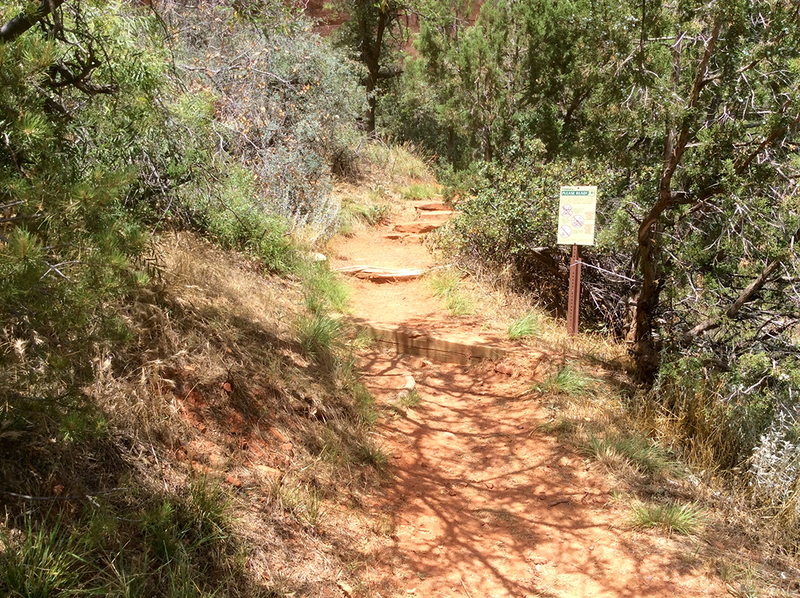 The trails, are each ¼ mile one way making the round trip distance one and one half mile. 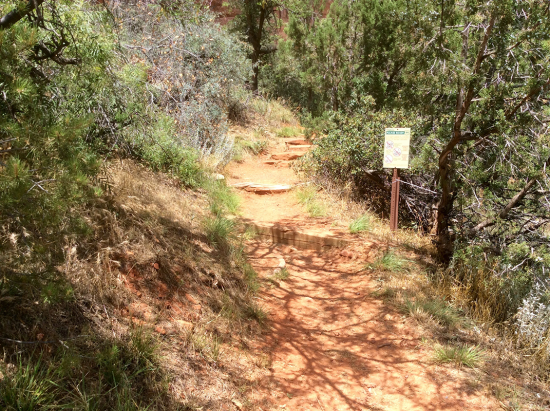 The first trail (to the right) took me up to the cliff dwellings where I met Jeff, a ranger, who was there to describe the cliff dwellings for visitors and answer their questions. Jeff said that the dwellings were about 2 stories tall originally and had flat roofs made of wood with ladders going between the floors. The Palatki people had been nomads and became sedentary when they learned how to farm corn and other food. 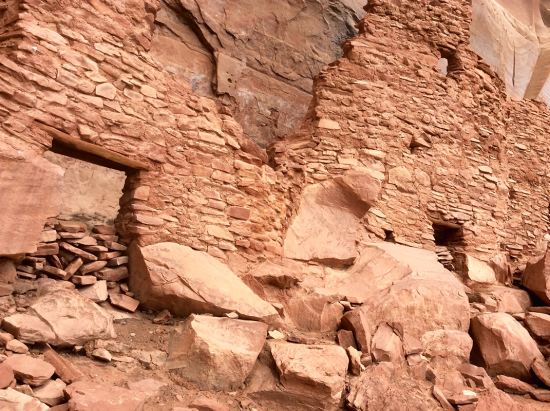 They used to let people walk through the dwellings, but due to vandalism they had to put rocks in the doorways to discourage people from entering. Our Guide explained that the people who settled here most likely did so because of the easy water supply. 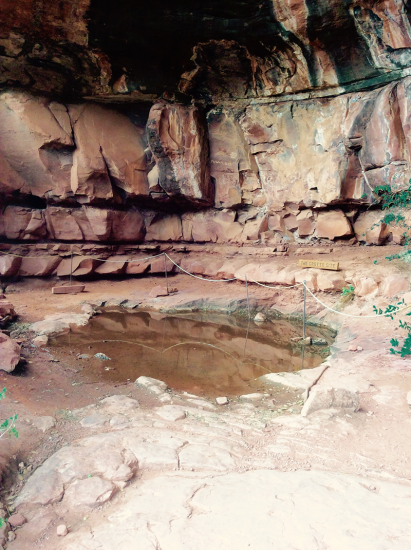 The water would flow off the rock above and into a pool in the rock. The white hieroglyphics with squiggly lines indicated water. They aren’t sure if the intention was to invoke more water or to indicate the presence of it for others who may follow. 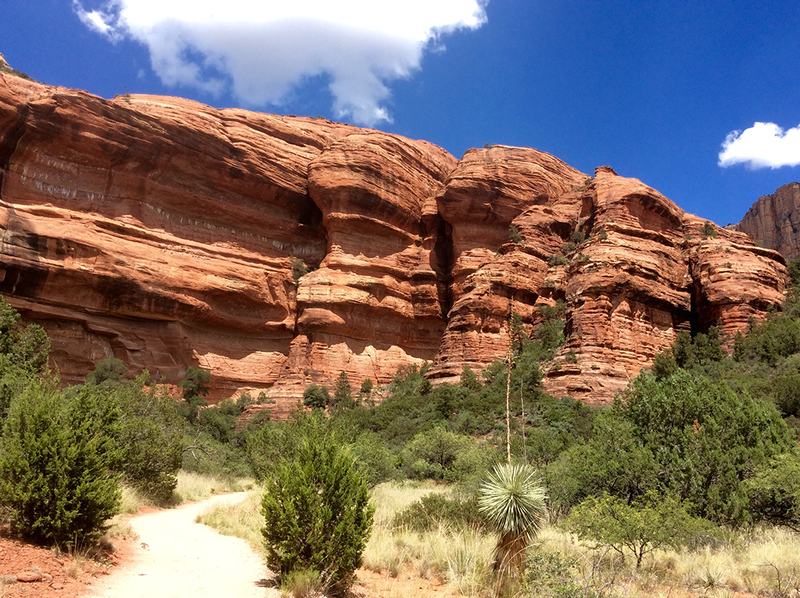 This was a very easy and enjoyable hike of 1/2 mile up to each site. If you visit Sedona I recommend stopping to see these wonderful relics.